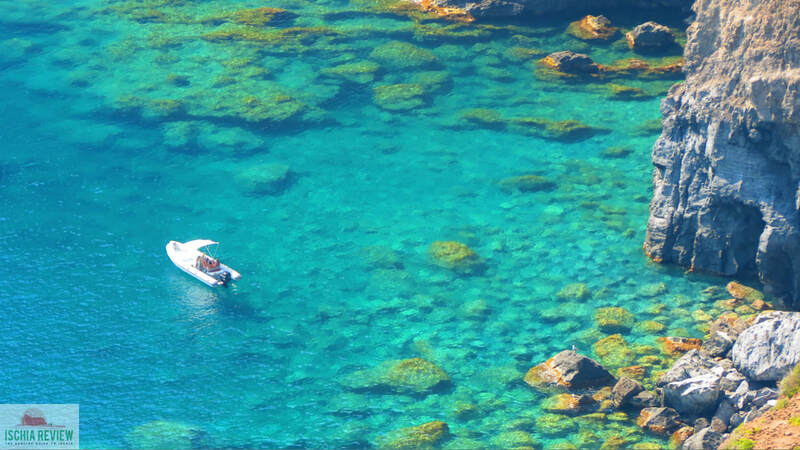 Ischia Review is a complete guide to the island of Ischia in Italy written exclusively in English. 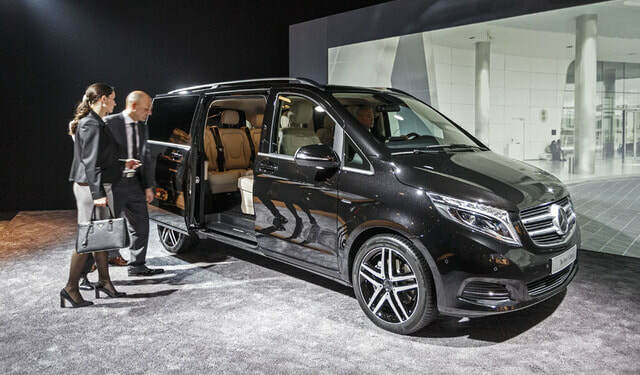 Aside from the information contained on the site we also offer services such as Private Transfers from Naples or Rome to Ischia, a door to door service where we'll get you to your destination safely and quickly. ​Our other major offering is boat rentals and private boat tours around the island with English-speaking skippers available. We also offer taxi tours of the island and are generally here to help English-speaking visitors make the most of their visit to Ischia. You can also use the site for travel information and a guide to accommodation with hotels, villas & apartments. Our Ischia Weather and Photo Blog gives an insight into life on the island and we also provide ideas and inspiration for things to see and do on the island. You'll find a a restaurant guide, cultural articles, information about thermal water, spas, excursions, and a gallery of original photos of Ischia. HERE'S JUST SOME OF WHAT YOU CAN SEE ON ISCHIA REVIEW! - have to wait until then to find places open. Some hotels will stay open all year round while the majority will start to fling their doors open around the beginning of April and work on a 6 month cycle. Those that wish to open for 6 months may choose the middle of April as their opening date in order that they close during the middle of October rather than the start of October. As of now you'll find an increasing amount of restaurants open and accommodation options available so the next consideration is travel to and from the island. You can reach Ischia every day of the year from Naples (apart from those occasions of extreme weather), and most visitors come here via Naples Airport or from the main train station, Napoli Stazione Centrale. Ischia has received an increasing number of tourists each year from Sorrento, the Amalfi Coast and Capri, many of whom have visited the island for a day-trip, returning the same day from wherever they travelled from. Now, at the time of writing (Monday 1st April 2019), the timetables for the hydrofoil crossings between Ischia, Sorrento and Capri haven't been announced but we're expecting them any time now. ​If you're planning to visit Ischia from Sorrento, the Amalfi Coast or Capri you'll find the booking engine and timetables as soon as they're ready. Until those timetables are confirmed, there are other options for Sorrento, Capri and Amalfi Coast travel links here. ​The island's two leading thermal parks, Poseidon and Negombo will be opening on the 15th and 19th April respectively but if you're on the island before those dates and you want to sample Ischia's thermal water, you can visit Sorgeto Hot Springs which opens all year round. 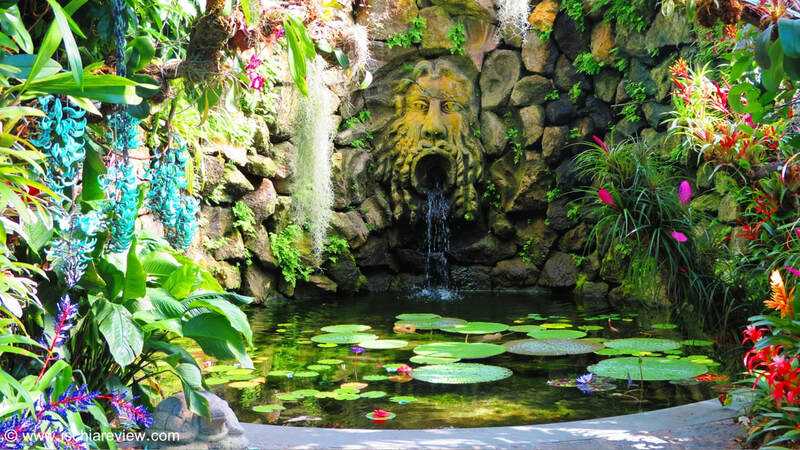 Another of Ischia's premier attractions, La Mortella Gardens, opens tomorrow (Tuesday 2nd April 2019), and you'll be able to visit them every Tuesday, Thursday, Saturday and Sunday until 3rd November. Whilst we await the timetables of the regular hydrofoils to Sorrento and Capri, you can already take day-trips to Positano and Amalfi, Sorrento and Capri with Ischia Cruises. You'll find details of their Boat Trips from Ischia here. We'll be starting our first boat rentals and boat tours around the 10th April so if you'd like information, prices and options on those just drop me a line and I'll be happy to help. You can also ask me about taxi tours of the island and our Private Transfer services from Naples, Rome, Sorrento or the Amalfi Coast. For any of those enquiries feel free to write to myself, Dion Protani, via the e-mail address below. ​I'll be back with further updates soon, not only here on the website but also on our Facebook page so until then I'd like to wish you all a very happy Easter and I look forward to hearing from you with your questions about Ischia. We offer a highly professional and reliable door to door transfer service that gets you from either the airport or the train station in Naples to your accommodation in Ischia by private taxi. We also offer a private yacht transfer service and transfers from Rome. We'll greet you at the agreed location, drive you to the port and provide you with the ferry or hydrofoil tickets before taking you on to your hotel, villa or apartment in Ischia. Drop us a line at info@ischiareview.com for more details, options and prices and we'll get straight back to you. 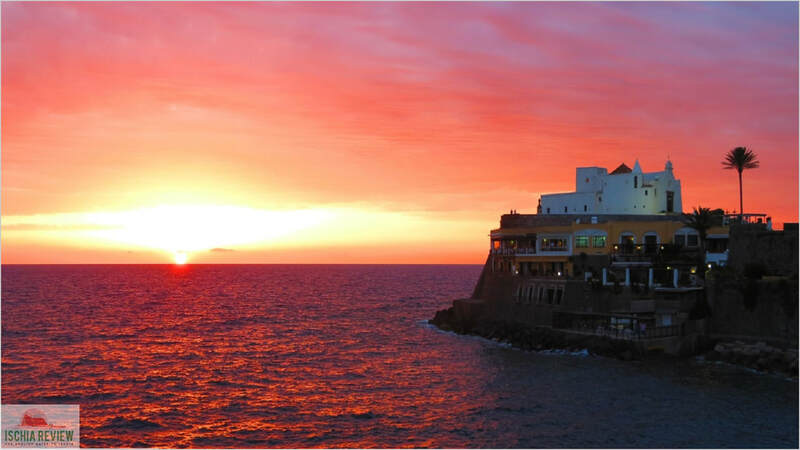 Are you planning to stay in Ischia but not sure where to stay? This is something we can really help with. Not only do we have every hotel in Ischia listed on the site with live prices, but we are also here to answer any questions or to give our opinion on any of the hotels in Ischia based on our knowledge and feedback from our clients. We provide advice about all types of accommodation in Ischia including apartments, villas, Bed and Breakfasts and everything else. For detailed, personalised (and free!) help, write to us at info@ischiareview.com and we'll get straight back to you. Our ferry & hydrofoil timetable & guide helps you plan your trip to Ischia and we also have guides on buses, train connections, taxis and crossings to and from Sorrento, Capri and the Italian mainland. Our guide to accommodation in Ischia is the most comprehensive anywhere on-line with hundreds of hotels, villas, apartments, bed and breakfasts, agriturismos, hostels and campsites listed. From Castello Aragonese to La Mortella Gardens, we have all of Ischia's must-see attractions listed with opening-times, prices and lots of other useful information and photos. There are lots of different ways to enjoy yourself while in Ischia and here we give you lots of options from thermal parks to guided tours, wine tours, horse riding, cookery lessons and much more. Our restaurant guide shows the very best places to eat out in Ischia with a price guide, photos and directions to each restaurant as well as hundreds of up to date photos and contact details. Our culture section includes the weekly blog "Ischia on Sunday" as well as a detailed events calendar, articles, Ischia's history, recipes, shop-opening times, emergency numbers and more besides. We recommend a number of approved suppliers across the island who are able to offer the best range of cars, scooters, bicycles, quad bikes, jeeps and electric bikes at the most competitive prices. 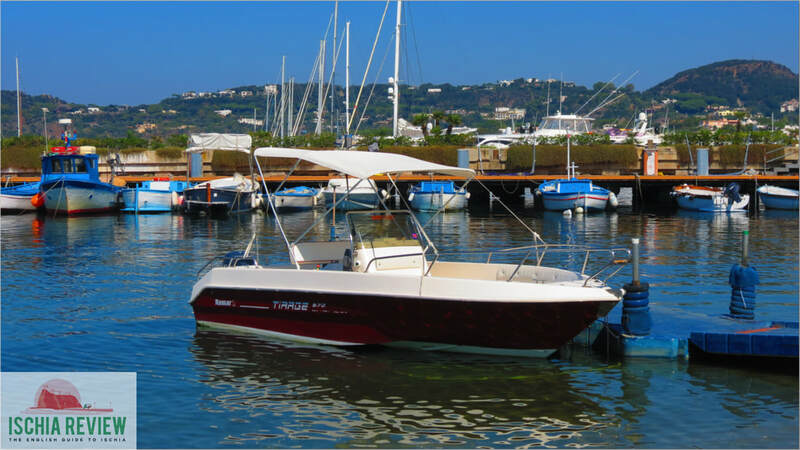 ​Hiring a boat is one of the most popular activities for visitors to Ischia and we have a large number of boats from small dinghies right up to luxury yachts and sailboats for rentals or excursions.